Doesn't the name just sound confusing? The entire menu and restaurant concept is, not to mention some of the staff. The night I dined here was fairly odd - I greatly enjoyed my company, but the restaurant experience is not one I'm looking to repeat. The Vines Winery Mediterranean/Mongolian Grill isn't sure if it wants to be Mongolian, Italian or Mediterranean. They do some things very well, but the inconsistencies are terribly disappointing. Located in the corner location of the "Super G Mart" shopping center of Greensboro, the Vines wasn't terribly crowded during my visit, but the pace of the evening would have you assuming otherwise. We had been seated for about 30 minutes before drink orders were placed. I'm not sure the word "winery" should be in their name - the bottle we ordered was delivered to our table, already uncorked (faux pas #1), and was not presented to us (#2). Small sips were poured in each of our three glasses, as if we were all supposed to taste it (#3). Both the Bruschetta and Olive Tapenade prove to be fantastic appetizers - the former offering beefy, ripe, zesty tomatoes with white vinegar and basil atop toasted crostini, and the latter providing kalamata and green olives with Olive Oil on the same crisp bed. 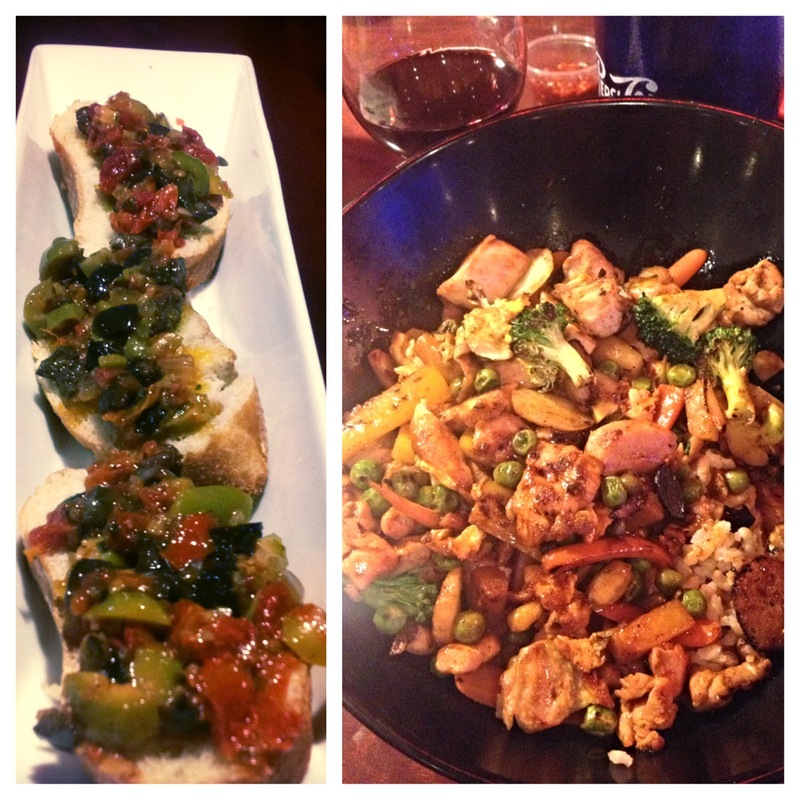 The Bruschetta is one of the closest renditions to what I had in Italy. Many Mongolian restaurants offer a plethora of proteins and veggies for you to "build your own" and send it back to the kitchen to be prepared for you. At the Vines, the server takes your order, thus taking along with it any germs that may come from the "serve yourself" option. My Brown Rice bowl containing Chicken Thigh meat, Egg, Water Chestnuts, Pineapple, Almonds, Yellow Peppers and Broccoli was fine. I couldn't detect any of the Vines sauce (tomato paste, chili, garlic) that I requested. It needed another element to heighten the flavor. This was just a bit flat for my palate. Dessert came totally out of left field. One of the best brownies I've had in my entire life is topped with vanilla ice cream and chocolate sauce, and for a non-chocoholic, I could have eaten the whole pan. 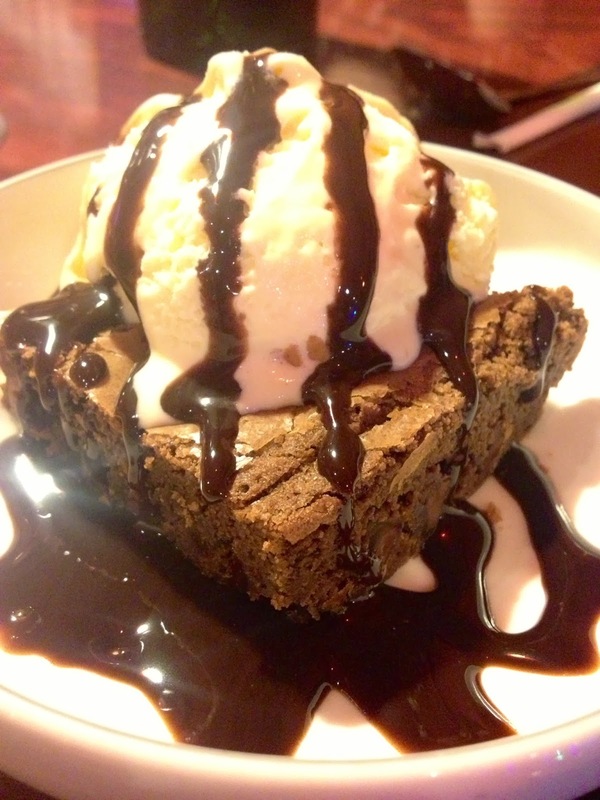 I know what you're thinking - how good could a friggin' brownie be? A crisp top, soft center, plus a flavor I can't really put my finger on - perhaps vanilla or evaporated milk - makes it an extraordinarily flavored dessert. This brownie was complementary, so I appreciate the management's generosity, but every other interaction we had with this man was fairly awkward. He encouraged us to "loosen up" and have a good time, but his constant bantering quickly became too much for me. He must have picked up on our vexation, because we waited another 30 minutes for the check. I hate to write such a disappointing review. Too bad I'll never get that brownie again, or the Bruschetta, but I'd rather go back to Italy anyway. Thank you for taking a chance and going! My husband and I love shopping at Super G mart (we make the trek from Winston every 2 weeks or so), and we loved going to Zali's for a little while -- the previous restaurant at that location -- but it started going downhill soon after we started going. When we saw it had changed to The Vines, we didn't have much faith in it. Too bad we were right! I heard Zali's was fantastic! It is too bad that something just as awesome couldn't have taken its place. Thanks for commenting! !